Beirut, Lebanon – Aziza Chami wipes away tears as she describes the toll Lebanon’s misogynistic citizenship laws have taken on her daughter. Chami is a Lebanese citizen. But her daughter was denied that birthright because her father – Chami’s late husband – was Egyptian. Under a law dating back to 1925, Lebanese women married to foreigners cannot confer nationality on their children and spouses, only the children of Lebanese men are eligible for citizenship. Lebanon does extend the right to citizenship to children born in Lebanon who cannot claim citizenship elsewhere through birth or affiliation, and children whose parents are either unknown or whose parents have unknown nationality. But children whose mothers are Lebanese and fathers are foreign are denied citizenship. The antiquated law has been criticised for placing some children at risk of statelessness. It can also have severe implications on their quality of life. Children denied Lebanese citizenship under the law cannot work in certain fields or access public healthcare. They also need a residence permit to stay in the country, renewable every three years. Chami says the institutional discrimination has become too much for her daughter to bear. Children like Chami’s daughter need a work visa to be legally employed in Lebanon; a hurdle which can make them less attractive to prospective employers. “My son tried to work in Lebanon but the companies he met with did not want to bother with all the paperwork,” Nadira Nahas, a Lebanese woman married to a US citizen, told Al Jazeera. Nahas said her son wanted to be a pilot, but when the airline he approached learned he was a US citizen, they said they could not hire him. “Now, he lives in Dubai,” she said. Some mothers try to proactively steer their children away from certain jobs to avoid disappointment. “We are losing our children because of this law,” Hanadi Nasser, a Lebanese married to a Syrian, told Al Jazeera. Though there are no firm official estimates, a United Nations study published in 2009 offers some clues about the potential scale of those affected. The UN analysis found that between 1995 and 2008, there were some 18,000 marriages between Lebanese women and non-Lebanese men. But the problem is not unique to Lebanon. According to an annual report published last year by the United Nations High Commissioner for Refugees (UNHCR), 25 countries do not grant women equality with men in conferring nationality to their children. Efforts to overhaul Lebanon’s citizenship rules have so far proved fruitless. Politicians have argued that amending the law could destabilise the country by upsetting its demographic and sectarian balance. Some believe it would jeopardise Lebanon’s religious balance and allow the integration of Palestinian and Syrian refugees. 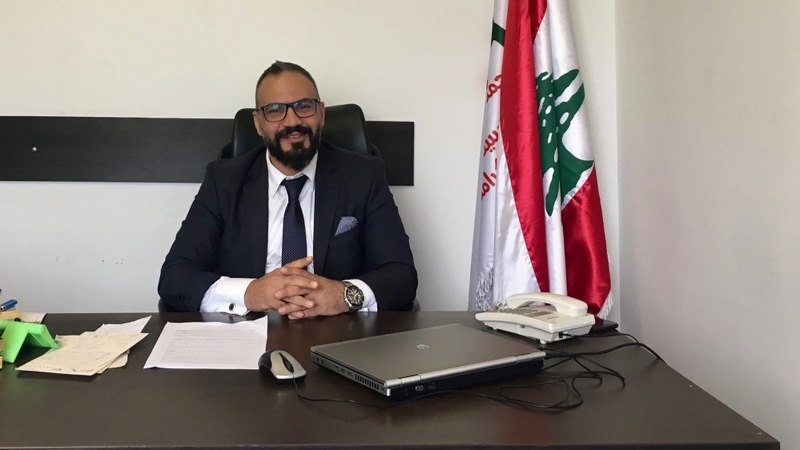 In 2010, former Interior Minister Ziad Baroud made some headway in easing the bureaucratic burden for children born to Lebanese mothers and foreign fathers by spearheading efforts to abolish residency visa renewal fees. But his attempts to introduce a new draft law to overturn existing rules failed to gain traction. Some hope the new Lebanese government will be more open to reform. Four women have been appointed to Lebanon’s cabinet in January, including the first woman to serve as interior minister in the Arab world. Six members of parliament are also female. Activists who have long campaigned to abolish the discriminatory citizenship law are hopeful change is on the horizon. Mustafa Shaar founded the NGO My Nationality, My Dignity in 2011 to draw attention to the issue. In addition to organising sit-ins, marches and workshops, Shaar’s NGO receives dozens of people a day in its offices in Beirut and the northern city of Tripoli. He told Al Jazeera about a 17-year-old man who was prepared to set himself on fire to protest against the citizenship rules. “He told me ‘I swear to God I will do it, because I am as good as dead right now anyway. I want to die to help the others who are like me’,” said Shaar, who added that his case is far from isolated. Lebanon is often depicted as a relatively progressive country in the region. But activists like Lina Abou Habib believe the misogynistic citizenship law makes a mockery of that image. Abou Habib has been campaigning for nearly two decades to change the law. Her current efforts are focused on a new bill drafted last summer. But bigoted attitudes remain a threat to reform. Last spring, Gebran Bassil, minister of foreign affairs, sparked an outcry when he said he would propose a new draft bill stating that Lebanese women may pass on their citizenship, but that it would not apply to women who marry men from “neighbouring” countries, which many interpreted to mean Syrians and Palestinians. Reform efforts are also winding their way through Lebanon’s courts. In 2009, Judge John Qazzi, president of the first instance court at the time, ruled that the children of Samira Soueidan, a Lebanese married to an Egyptian man, should obtain the Lebanese nationality. The state appealed Qazzi’s decision. A final ruling is still pending. “I am an intruder in this system,” Qazzi told Al Jazeera. “I am optimistic about the fact that this law will be amended because more and more voices are being raised on this issue”. Abou Habib also believes the nation’s progressive instincts will prevail. “Lebanon has made great progress in terms of political and social debates, on different topics. Violence against women, nationality, LGBTQ rights, personal civil status,” she said. Meanwhile, mothers such as Nadira Nahas continue to wait for the state to abolish the near century-old law and finally grant citizenship to the children of Lebanese women.